The Eastern Partnership Project of AEGEE first started in 2011 and was built upon the EU’s project of Eastern Partnership which was created in 2008-09. Since then, it has reunited young and talented students from the European continent, EaP countries and even from Turkey and Russia around a common goal: to encourage and to empower youth, to raise awareness about the European Union in the Neighbourhood and about the EaP countries in Europe. The EU’s EaP Project aims at encouraging better relations between the EU and its new direct eastern neighbors, after the enlargement in 2004 and 2007, namely Armenia, Azerbaijan, Belarus, Georgia, Moldova, and Ukraine. 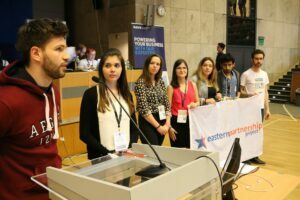 I think the first objective of the Eastern Partnership Project of AEGEE was to give a youth’s perspective to the project, which was lacking in the first program that did include as priority contact people-to-. While the EU project was very technically orientated, the AEGEE project aimed at making it less ambiguous and discussed it between young people. As a result, the project mainly focused on getting young people to know what EaP was, have discussions with Eastern Partnership youth on what they want from the EU, and have debates on what this EU project is about. An example can be following Euromaidan in Ukraine, the theme of “building democracy” for the Agora 2015, Observation mission that was organized in collaboration with AEO, advocacy for visa free travel, or for youth to be heard better within the EU project. Our project allowed AEGEE-Europe to join important umbrella organizations such as the EaP Civil Society Forum to accomplish this. EaP Project board members had decisive roles in these organizations and allowed AEGEE’s goals and values to be represented and influence decision making. We still continue the legacy of the project by participating in Human Right Days, or youth debates on what Eastern Partnership is. 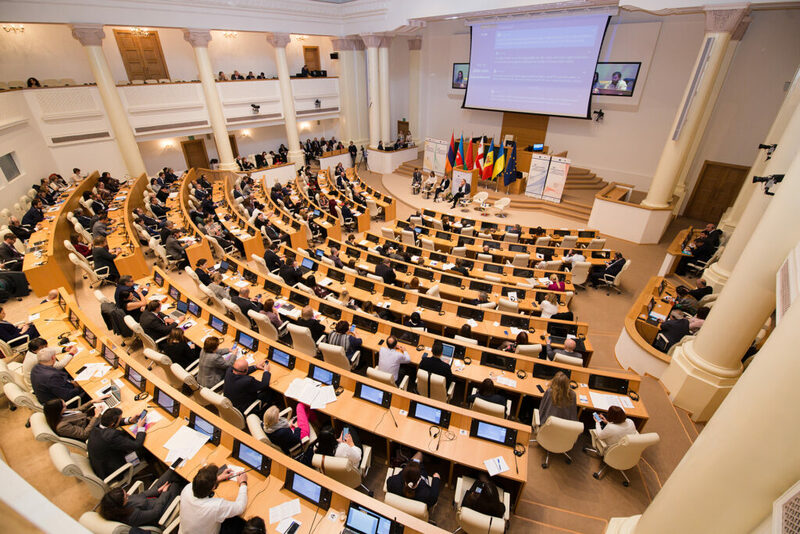 However, as the EU’s Eastern Partnership evolved including more youth and higher mobility, including free visa travel for half of the EaP countries, our goals and mission evolved as well. The main problem seemed to be that the EaP countries still appear underrepresented. The EaP project can feel like the diplomacy of the EU is well represented in its neighborhood while that of the EaP countries remains wanting for more. This is a problem that could also rise within AEGEE: we are one of the only European networks to be so large and inclusive that we include voices from not just beyond the EU borders, EPM-Yerevan is one great example, but also beyond conflict lines. AEGEE is the key to Europe also because it provides a platform for communication and exchange between young people from all of Europe. It develops a culture of peace and equal opportunities beyond just the EU borders. The EaP project values this transcontinental identity and wants to make sure that non-EU members have a better platform to share their experience, knowledge and culture. It doesn’t mean that we shouldn’t speak about the EU’s issues like Brexit, the upcoming European elections, etc., but first, some of these issues could be better framed to include everyone. Second, a large part of the continent remains untapped which gives us a huge opportunity to enlarge our network and allow for more young people to discover AEGEE and contribute to shape the Key to Europe. Lastly, we think that although the EU has a lot to offer in regard to its neighborhood, we believe that there cannot be any long term political and economic developments without a real partnership of equals. This means that the young voices from Eastern Europe need to be heard and positively influence the West as they too have experience that can help resolve issues that we face. For this, we need to change people’s mindsets. There have been massive events that took place recently, but we hear about it only when it is linked to a “revolution” or “war”. Why don’t we speak of South Caucasus as the inventors of wine (6000 BC), having millennium cultures, creative minds with modern sense of fashion, and the best night clubs in Europe? Who has followed the Armenian news post-revolution? Who has visited Belarus or Azerbaijan? Who has experienced getting a visa? Our aims now, therefore, are to encourage knowledge about the region through the voice of the local youth. This means also giving a voice to those who don’t have access to AEGEE because they are not living in the capital. Events and exchanges promote people-to-people contact and allow youth from all over the network to meet, but most importantly, encourage the culture to be a bit less EU centric and more inclusive. The recent study trips to Georgia, the new antenna in Batumi and Kutaisi, and the exchange that will follow this year on diversity and inclusion with AEGEE-Tbilisi and AEGEE-Amsterdam have this aim. Finally, as the objectives changed, the target regions changed as well. Russia is also part of AEGEE’s EaP Project because in Russia as well, there are a lot of barriers, a fear to visit, and the idea that except for St Petersburg and the Kremlin, there is nothing else to see. Transib’s and Tyumen’s NYE events show the diversity of Russia, and our project aims at encouraging this. Therefore, we decided to organize a study trip on the theme of diversity to encourage the discovery of the different languages of Russia (Yep, there are several), its history, and culture. What particular projects are you currently working on? The Eastern Partnership Project + is currently working on a lot of amazing projects and events, both internal events, as well as projects in cooperation with other bodies and/or Locals. 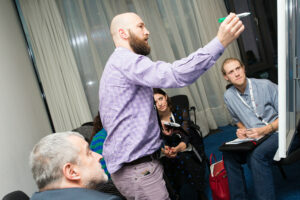 We plan on cooperating with some of this year’s hosting Locals of the spring Network Meetings in the near future. We’re always open for collaboration and it is a pleasure to see our team growing and more people getting interested by our project. Have you been cooperating with other AEGEE bodies and projects, for instance, Network Meetings, Summer Universities, New Year Events etc.? Sure, we have successfully cooperated with several bodies – ERWG, ECWG, CEWG, Migration interest group, Language interest group, Gender Equality interest group and HRC for Human Rights Days, AEGEE-Academy for a workshop at an SU, Politics interest group for several activities (as one of our members is also active there). We are open to new cooperation with different bodies and locals, feel free to approach us! Eastern Europe and South Caucasus are definitely sub regions that are constantly ‘in the news’: upheavals, velvet revolutions and protests, foreign policy changes, numerous different cultures… Can AEGEE as a youth organization contribute towards a civil society in EaP countries, and how? AEGEE can and should take part in it on many levels. We aim at empowering young people in the region by means of civic education and by encouraging critical thinking. As a multinational organization, AEGEE contributes to conflict resolution by supporting a culture of peace and diversity, collaborating with umbrella organizations like CSF. It provides young people with the opportunity to develop a strong network of people who care and who can make a change. We’re happy to receive members who believes in our mission and goals, have the will to develop their skills, especially from the EaP countries. Right now, we are specifically interested in HR and IT as we want to upgrade our website. However, our team would be happy to answer any questions if you would like to join or are generally interested in the project. You can contact us on our Facebook page or by e-mail at aegee.eap@gmail.com.